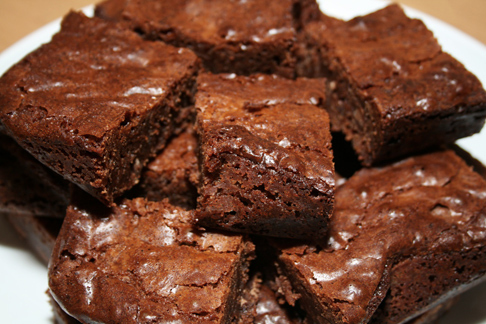 Every now and then, come on, you have to have somethin’ rich, sweet, chocolate and it has to be brownies! Variations: Use one or more of the following to create what you are craving! Want to decrease the calories? Replace the oil with mashed canned black beans. Use the juice and all. Replace 1/3 of the sugar with Splenda. Beat eggs in mixer with your dough attachment along with melted butter. (Microwave 1 stick of butter in microwave for 1 minute in a bowl. Add slowly to your mixer as you beat them for 2-4 minutes on medium high.) Add extracts to egg mixture. In a separate bowl mix all dry ingredients. Slowly add to egg mixture. 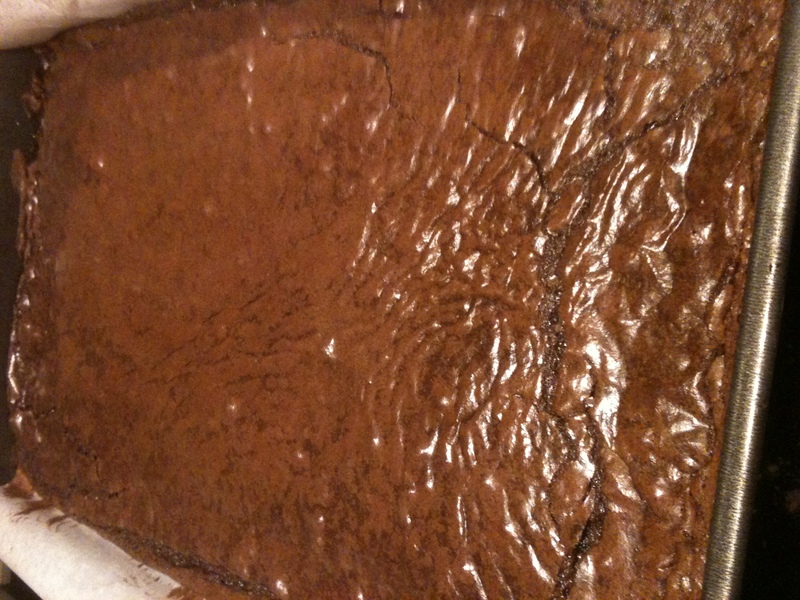 Bake for 10-15 minutes in a 9×9 inch square pan. 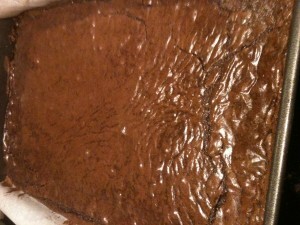 This entry was posted in Dessert - Eat dessert first, Life is uncertain and tagged Black Walnut Extract, brownies, chocolate. Bookmark the permalink.